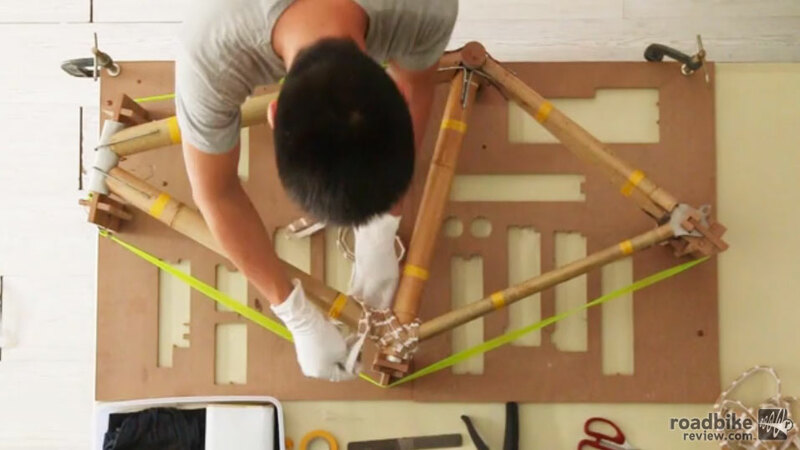 Do you trust yourself to build a bike out of bamboo? Bamboobee hopes so. As cyclists we often pride ourselves on the “green” nature of our chosen mode of transportation. One of the downsides, however, is that the manufacturing process of carbon fiber frames may not really be all that environmentally friendly. In recent years companies such as Calfee Design and Boo Bicycles have begun to take advantage of naturally occurring frame materials such as bamboo. Bamboo is so incredibly strong it’s been used to construct bridges and even multi-story scaffolding. In some cases it can be even stronger than carbon fiber. Not only are bamboo frames light and strong, they also offer an incredibly smooth ride akin to steel or titanium. Recently Bamboobee Bicycles has taken this renewable material and brought it to the masses with their Bamboobee build it yourself road and commuter bike kits. Check out the video below to see how to make your own bamboo bicycle. For as long as he remembers, contributor Jeff Titone has been riding bikes. The former National Champion triathlete has such a passion for cycling that he has dedicated his career to spreading the two-wheeled gospel. A cycling industry veteran of more than twelve years, Jeff has worked for such notable brands as Cannondale, Titus, and Blackburn. Whether grinding out the miles on his road bike, shredding the Arizona desert on his mountain bike, or cruising the greenbelt on his way to work, Jeff relishes every opportunity to be in the saddle. He also has a soft spot for vintage, lugged steel road bikes and bourbon.